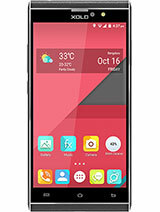 kd, 09 Jul 2014Hiii AV1 I m planing to buy XOLO Q1010i. 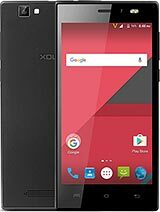 Pls suggest me buy it or not cause it's hard to me sp... moreI have been using Xolo Q1010i last 1 month now. Impressed&satisfied with the overall phone model. Design : Excellent build quality and solid premium look in this price range. Performance : Touch is smooth. No lagging even while playing high graphics games (Though it gets a bit heated, which is normal for any android phone.) But overall a good gaming experience. Proper signal strength&nice voice quality. 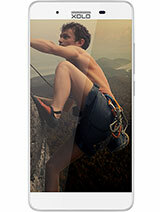 Camera : 8 MP Rear camera quality is really good in this budget range models, the front camera is an average. Image&Sound quality : Crisp Image&sound quality. Battery Life : Average battery life will last for a day with a normal usage. 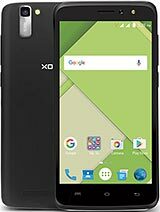 Accessories : All the provided accessories are really good, really impressed with the flip cover quality which gives a premium look to the phone. As experienced few of the videos doesn't play with H/W decoder, has to set the video player to S/W decoder then it works perfectly. Pen drive above 8 GB (Formatted with NTFS file system) when connected through OTG cable doesn't recognizes, it works perfectly if formatted with FAT32. Missing the Geo-Magnetic sensor, not much needed but missing as it was having in my earlier android phone. I have not yet upgraded it to the new Kitkat version as had observed a mixed reviews post upgrade. Kindly share the experience if anyone else have upgraded it to Kitkat ver. Overall: Great product!!! Would recommend this product as value for money. Will give a overall rating of 4.5 / 5 with this budget range. Don't buy q1010i my phone gets hang, i tried many time to switch off the mobile, after 10 min its goes off, and after that not gets on, i tried 15-20 min. 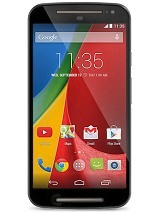 then it gets on, i advice you to don't buy non removable battery phone of xolo. I manually set my screen brightness to lowest possible value, then I opened camera app, brightness of the screen increased automatically. If I set brightness to automatic then everything works fine. I have updated my phone ro kitkat 2 days ago. And since then I am really happy as the performance of this phone has increased ! Now there is more free RAM. There is no problem in the phone. 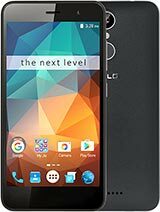 It is really good phone. Thumbs up for this !! If any query ask me. 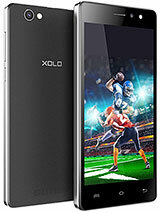 I have been using Xolo Q1010i last 1 month now. Impressed & satisfied with the overall phone model. Performance : Touch is smooth. No lagging even while playing high graphics games (Though it gets a bit heated, which is normal for any android phone.) But overall a good gaming experience. Proper signal strength & nice voice quality. Image & Sound quality : Crisp Image & sound quality. What to do now?? A week after Kitkat update the SOUND FLUCTUATION problem has again crept in.What to do know...please say if anybody wlse is having the same problem.